By Juan Pedro Marín Arrese, in Madrid | The labour reform approved in Spain on Friday, opens the door for massive lay-offs. A drop in sales for three quarters in a row will trigger the possibility of firing workers with a maximum indemnity of one-year salary. It will foster switching to younger/cheaper manpower, at a relatively moderate cost. Average indemnities before would usually run at threefold that amount. Bad luck for those swelling the unemployment statistics. They could turn to be millions with very little chance of ever getting a new job again. With a rate of unemployment that will easily reach 25% in the short run, and remain nearly as high for a couple of years, a powerful network of social assistance and care should be put in place. Otherwise, sheer poverty will lead to desperation. People trapped on the dole get almost no support in terms of training or job search. They simply cash modest benefits for two years, being compelled afterwards to live on charity. Social help amounting to less than €250 per month hardly allows any margin to survive. Time has come to face this acute problem as a matter of general concern. Basic needs in housing, food or winter fuel should be ensured through a social network working close to those in distress. Top priority should be given to help people escaping from the dole trap. Employment offices acting as a public monopoly have proved to be an utter failure. Let their tasks be taken over by private firms providing better guidance and services in snatching a job. We need to transform unemployed in people fully active in daily search for jobs, with the support of experts and social workers. Something must be done quickly or misery will little by little spread its tentacles. 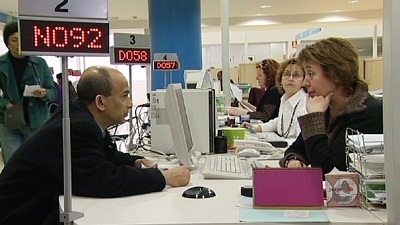 Be the first to comment on "Special Labour Reform | Spain will need a lot of social workers"